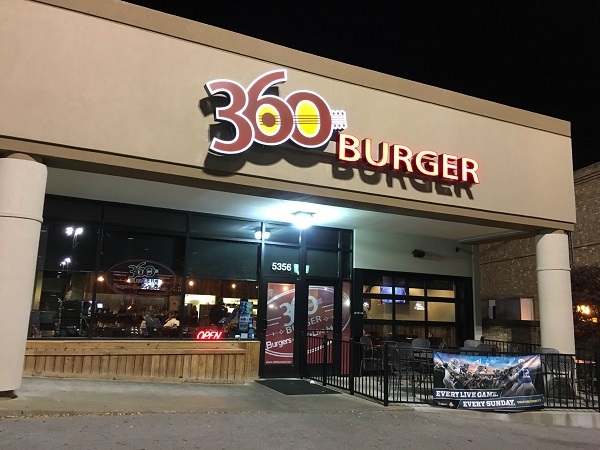 360 Burger, Nashville TN (CLOSED) – Marie, Let's Eat! 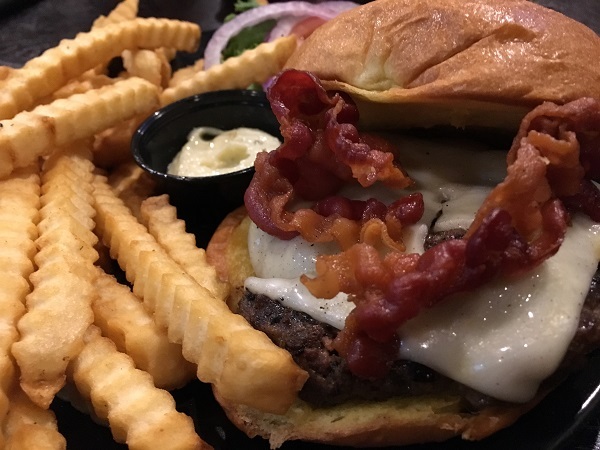 Before we left town, we caught up with friends and enjoyed a very good dinner with them at a nice place for burgers and live music in the Antioch neighborhood. And as a bonus, there’s a tea shop just two doors down. Antioch is on the southeast side of the Nashville metro area, and it’s a little bit like Ooltewah here in Chattanooga or Marietta in Atlanta, although it is a neighborhood and not a proper city with its own mayor or police force. It’s dominated by chain businesses and big box stores, but here and there you’ll find some interesting locally-owned places. Our friend Brooke has lived in this community for many years and found a promising place for us to visit. After giving our son about half an hour of playground time, we visited with Brooke and with Tory for about an hour at Brooke’s new-ish apartment and then decamped for an early supper at 360 Burger. 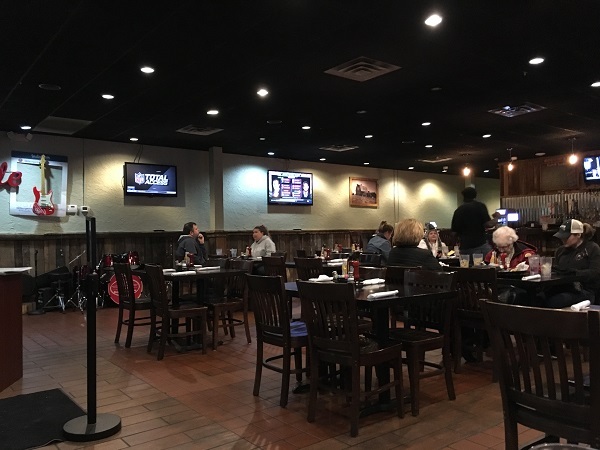 The restaurant opened in 2013 and is the latest restaurant venture for a family with many decades of experience in the business. Brothers David and Patrick Swett own the place. Their grandfather opened a cafeteria-style meat and three called Swett’s in north Nashville in 1954. That place sounds quite interesting and I’d like to check it out one day. The brothers found a big corner space in an Antioch strip mall for their venture, and seem to be doing really well. We arrived pretty early for dinner, before that evening’s act began setting up, and the restaurant was already almost half full. They have a pretty decent kids’ menu, and lots of good burger selections. Like many of the newer places that we know from Atlanta (several of which, like Farm Burger and Yeah! 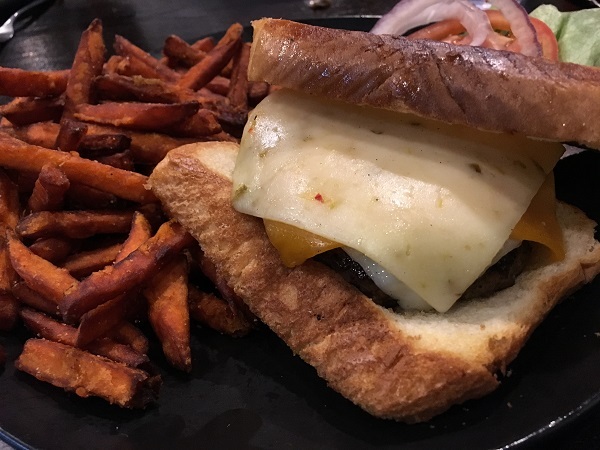 Burger, have set up satellite stores in Nashville), the owners contract with local producers and pay the higher price for locally-raised, grass-fed beef, and so most of these very good burgers are in the $10-20 range. Marie had a burger with three cheeses on Texas toast, and I had one with bacon. These were very good. The service was attentive, and we were all pleased with the sides and the quality of the beef. These are really juicy burgers and we all enjoyed our meals. A fine dinner all around. After we ate, we walked down a couple of doors and shopped at Shineworthy Tea, a local place where Brooke gets most of her stash. We arrived just before they were ready to close, but graciously stayed open a couple of minutes more so that I could buy Marie a small pre-Christmas gift, and so Tory could get some giant baked goods, which our son then set his eyes on. A little finangling and cutesy-eyes from our little bandit and he’d obtained a muffin for the next day’s breakfast from our friend. The benefits one gets from being adorable, I suppose. Posted on January 23, 2017 August 27, 2017 by Grant G.Posted in burgers, nashville, tennesseeTagged antioch, burgers, nashville, tea, tennessee.